Garth Brooks bring in the bucks! 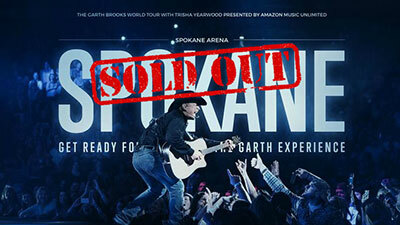 The biggest business story of the week is happening at the Spokane Arena as country music's entertainer of the year, Garth Brooks plays seven sold out shows for nearly 85,000 fans, last Thursday night through this Tuesday. The biggest crowd ever for Spokane. Arena General Manager, Matt Gibson worked with Visit Spokane to calculate an economic impact dollar figure on Garth's appearances. It's estimated at $14,650,000! Thanks for the shows Garth, and thanks for the business Spokane Arena! 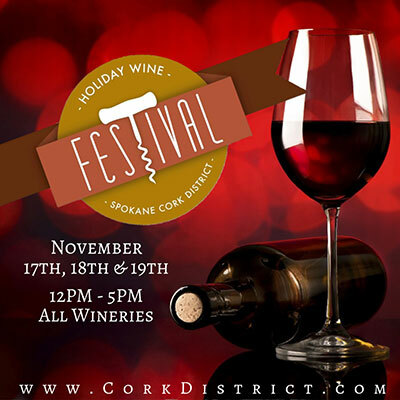 Spokane's Cork District Holiday Wine Fest is the premier wine event of the Fall in the region. This three day event starts this Friday, November 17 and continues through Sunday, November 19. 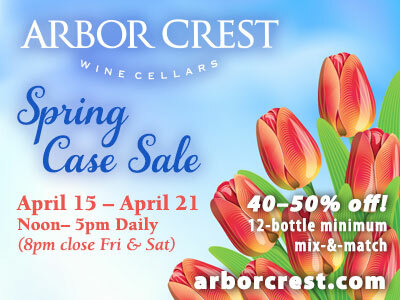 Twenty winery locations are open from noon to 5pm each day. Most are open longer hours. The Holiday Wine Fest is a great time to explore the local, regional and national award winning wines available right here in Spokane. In addition to the great wines, many of the tasting rooms will have new releases, food pairings, music and art. This Friday, November 17, River Park Square invites the community in welcoming Santa Claus back to Spokane for the holiday season with two of his reindeer in training. There will be free hot chocolate and face painting beginning at 6pm. The CYT Spokane's Christmas Quartets will entertain the crowd with a performance beginning at 6:30, and Jolly Ol' St. Nick will arrive with the help of a little holiday magic for the annual tree lighting ceremony at 7. Reindeer arrive at River Park Square Wednesday, November 15, and will be ready for visitors when the shopping center opens at 10am. Santa's arrival and the tree lighting ceremony begin at 6pm on Friday. Santa will be available for pictures until 9pm following the tree lighting. A reindeer handler will be on site the evening of Santa's arrival for pictures and reindeer petting opportunities from 5-8pm. Maryhill Winery, based in Goldendale, Washington, opens this Friday, November 17 in Kendall Yards, at 1030 West summit Parkway, overlooking the Spokane River. It's Maryhill's first tasting room off site from their main location in the Maryhill mansion. Maryhill is one of Washington state's largest wineries, producing more than 80,000 cases a year. 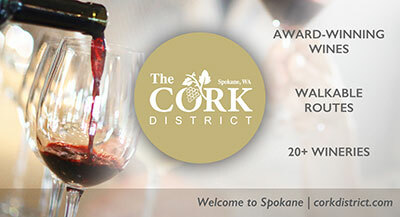 Their opening is just in time for the Spokane Cork District's Holiday Wine Fest. Former NPR foreign correspondent Anne Garrels visits the Bing Crosby Theater this Wednesday, November 15 as a fundraiser for Spokane Public Radio. The event begins at 7:30pm. She will share some of the experiences from her most recent book, Putin Country: A Journey into the Real Russia and share her unique perspective on reporting and international conflicts. Tickets are available at TicketsWest.com or 1-800-325-SEAT. Student tickets are available. Proceeds benefit Spokane Public Radio. 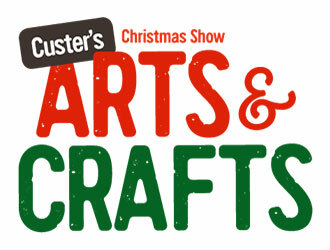 This year's show will run this Friday through Sunday, November 17-19 at the Spokane Fair & Expo Center. Over 300 artisans from across the Northwest will be displaying and selling fine art, hand crafts, jewelry, seasonal decor, specialty foods and more. Hours are Friday 10am-8pm, Saturday 9am-6pm, and Sunday 10am-4pm. Admission is $7 for adults, good all weekend. Children 12 and under are free. State Bank Northwest President and CEO, Greg Deckard, has announced the promotion of Brennan Floyd to the position of Assistant Vice President/Commercial Lender at the Spokane Valley headquartered bank. 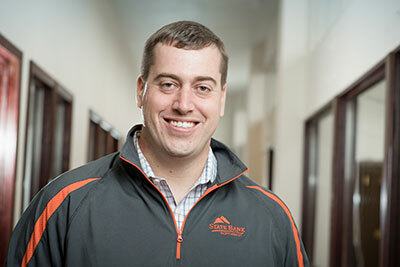 Brennan joined State Bank in 2015 and has 10 years of commercial lending experience, both locally and in the Puget Sound region. He is active in the community as Vice Chair of the YMCA South Advisory Board and a board member of the Emerging Leaders Society of the United Way. Established in 1902 in Garfield, Washington, State Bank Northwest is now headquartered in Spokane with branches in Garfield, Spokane Valley and Northpointe.